In 1920, activists of the Women’s Suffrage Movement triumphed when women were guaranteed the right to vote per the 19th amendment. In the 21st century, feminist movements are dedicated to mobilizing this power by encouraging women to go out into the world to affect lasting, positive change. The field trip in question was an event organized by Girls Build LA (GBLA), an initiative powered by the LA Promise Fund. Thousands of women gathered at the USC Galen Center to participate in GBLA’s mission to inspire the current and future generations to be more civically engaged. Civic engagement is when citizens publicly express and advocate for their values by taking steps that make a difference in their communities. GBLA is a powerhouse of modern women's movements. Its mission, according to the LA Promise Fund’s official website, is to challenge “young women from public middle and high schools to use STEM principles and 21st Century learning skills to affect social change. [GBLA] activates young women to engage with the issues they care about, and prepares them to solve the problems of tomorrow.” For the 2018 Summit, GBLA partnered with When We All Vote, an organization founded by Michelle Obama that emboldens Americans of diverse backgrounds to actively participate in democracy by voting. The auditorium buzzed with excitement as groups of girls filed in. Outside of the auditorium, GBLA set up voter registration and pre-registration booths, ensuring that the participants had an accessible means of beginning their civic engagement journey. 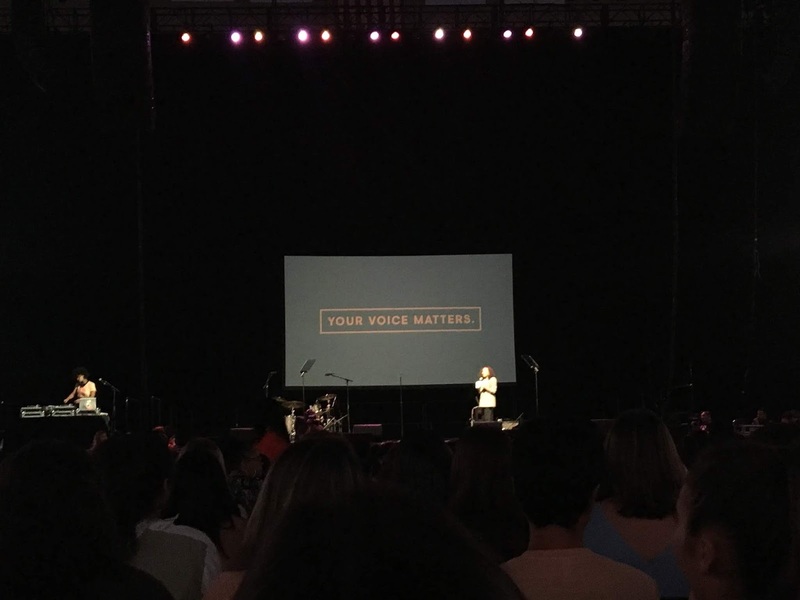 An hour into the summit, speaker Rhyon Brown, an actress and involved GBLA member, proudly announced that 500 young women had pre-registered or registered to vote at the booths. The summit was timely; it took place only a day after the historic Ford/Kavanaugh hearing. Christine Blasey Ford accused Supreme Court Judge nominee Brett Kavanaugh of sexually assaulting her at a party in high school, while Kavanaugh was a student at Georgetown Prep, an elite all-boys school. On Thursday, September 27, more than 20 million people tuned in to watch Kavanaugh and Ford testify. The hearing reawakened a recurring national conversation on sexual assault and the #MeToo movement of 2017. 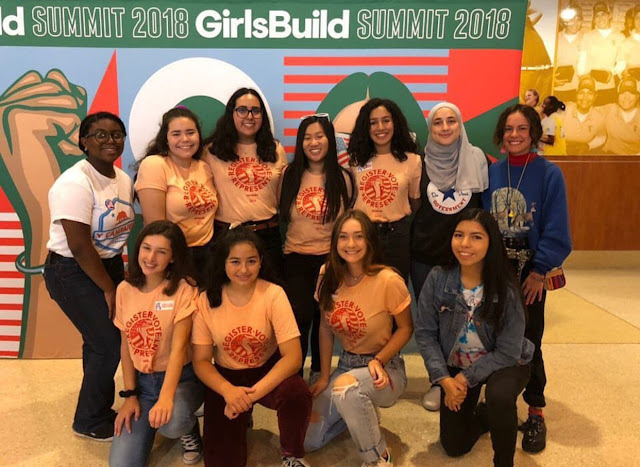 In the midst of confusion and heated debate in Washington D.C. and across the nation, the Girls Build LA summit strove to hone the mutual frustration felt by so many girls and women into a laser-focused movement of civic engagement, voter registration, and voter turnout. While awareness of issues is great, modern activists are beginning to realize that the only value in knowledge is how you use it. During the summit, a few speakers discussed social media’s role in activism, pointing out the prevalence of “slacktivism”: the practice of retweeting, hashtagging, and liking posts that fit one’s personal opinions, in place of working to make those opinions heard outside of the realms of Twitter, Facebook, Instagram, and other social networks. GBLA and When We All Vote recognize how effectively technology engages people in important conversations; however, the organizations aim to channel this momentum from lit phone screens into civic engagement. In order for women, people of color, people of low-income, and other historically marginalized groups to feel represented in the United States, they must exercise their civic duty and vote. The GBLA summit included a panel with Alex Padilla (the California Secretary of state), who sat alongside Delaney Tarr and Kyrah Simon of Marjory Stoneman Douglas High School, both of whom were students at the time of the Parkland school shooting in February of 2018. Padilla made his stance clear as a proud women’s ally, announcing that the girls in the audience ought to “demand respect because you deserve respect.” Tarr, now a graduate of Marjory Stoneman Douglas, and Kyrah Simon, a senior at the same school, emphasized the importance of intersectionality in modern women’s movements. “I’m not just a woman. I’m black, and I’m a first generation American” proudly proclaimed Simon. “If we were to only talk about one thing, we wouldn’t be able to dismantle this issue”, said Tarr. She demands that activists look at women’s rights issues through through the lens of income equality, civil rights, and more. 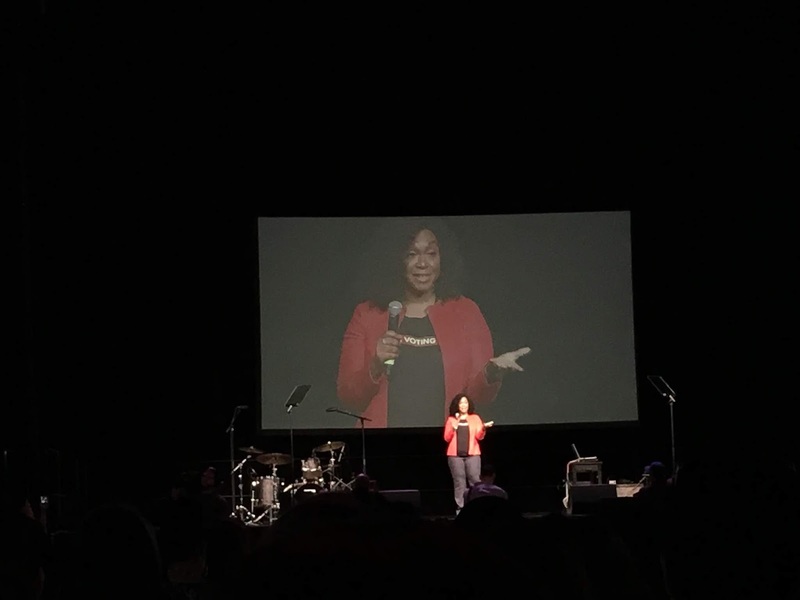 The keynote speaker was television producer, screenwriter, and bestselling author Shonda Rhimes, who is best known for creating the hit TV shows Grey’s Anatomy and Scandal. She reflected on how it feels to know that her fictional stories have touched the lives of so many people. Her stories have connected families, friends and strangers across countries, cultures, and languages. Their passion and enthusiasm over one topic transcends whatever barriers might have otherwise separated them. “If we can figure out how to do that for a television show”, said Rhimes, “we should be able to do it for something as important as an election.” As a professional storyteller, she recognizes the power of “building tribes”. “I build tribes. In modern times, that’s what a good television show does," she says. This idea of community-building is not only effective for fictional stories, it’s also a critical practice in shaping and creating real stories - stories of change and of progress. After all, a tribe of voters is louder and more impactful than just a few individuals who decide to exercise their right to vote. Keynote speaker Shonda Rhimes asserts that voting is the most powerful way to make one’s voice heard and to ensure that one’s values are represented in politics. Modern feminist movements employ a particularly powerful “get-up-and-go” philosophy. Building off of the foundational principles set forth in the past century or so by the trailblazers of the Women’s Suffrage Movement, activists in the 21st century are determined to keep the momentum going strong. Now, more than ever, there is a realization that the only way to cause the change you want to see in the world is by going out into your community, getting your hands dirty, having productive conversations, and most importantly, voting. Young women from a Southern California high school in SWE (Society of Women Engineers) club and a Y&G (Youth & Government) program gather at the 2018 GBLA summit. If you are 16 or 17 years old, you can pre-register to vote. If you are 18 or older, you can register to vote.